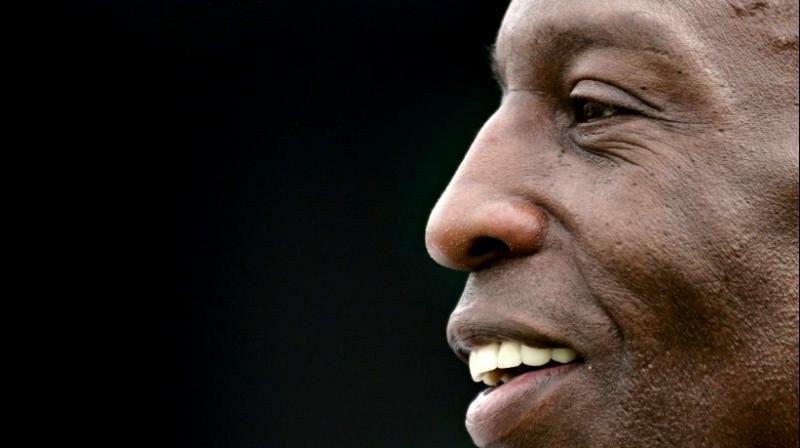 Sprint king, Michael Johnson spreads the message of hope to stroke survivors. Hong Kong: US sprint champion Michael Johnson said he hoped to inspire fellow sufferers as he declared himself fully recovered from a stroke that paralysed him down one side last year. Johnson told AFP he was now "back to normal" after the stroke in September, which left the former 200m and 400m world-record holder unable to walk. The 51-year-old said the "Olympic mindset" that took him to four Olympic golds had aided his recovery, while his years of charity work helped put his plight in perspective. "Fortunately I was able to sort of get back into my Olympic mindset and really set my mind to the challenge of getting up and walking again and getting back the mobility that I previously had," he told AFP in Hong Kong. "I was fortunate to have an athletic background that allowed me to really be able to commit the type of focus that it takes to do that work every day and the patience as well to suffer through those minute, marginal improvements. "I'm fortunate to be back to normal now and just to spread the message to other people about how to get yourself back to quality of life after an event like that." Since hanging up his boots after winning 400m gold at the 2000 Sydney Olympics, Johnson has been an ambassador for Laureus Sport for Good, a charity funding junior sports development programmes for underprivileged communities. The sprinter said the nearly two decades of philanthropic work had allowed him to come to terms with having a stroke and take the gruelling months of rehabilitation in his stride. Johnson is in Hong Kong for this week's rugby sevens tournament, which has adopted Laureus as its official charity partner. With four fixtures left in this year's series, the US Eagles are leading the standings for the first time and eyeing the prospect of a maiden victory in the flagship Hong Kong tournament, after a surge of funding for the sport back home following its Olympics debut at Rio 2016. “It's really been gaining a lot of awareness over the last several years, certainly being an Olympic sport in 2016 was fantastic to see," Johnson said. "It's very exciting. It's very quick, which I like. Rugby has never been a really big sport in America but I think that with the Sevens, it really has started to pick up. We're seeing more young kids picking it up and it's really exciting to see," he concluded.